Ed Jenkins, of CSRS Inc.
Mark Goodson, of CSRS Inc.
Bambi Hall, of GEC Inc.
Elizabeth Kilgore has been named art director at Sasso, responsible for graphic design, brand identity and development, print and digital advertisement and packaging design for the agency’s clients. Kilgore was art director for BRZoom and has more than 13 years of corporate and agency experience. She received a bachelor's degree in graphic design from LSU. Linda Lee has been promoted to vice president, cancer service line, at Mary Bird Perkins - Our Lady of the Lake Cancer Center. Lee has served seven years as the administrator for Mary Bird Perkins - Our Lady of the Lake Cancer Center, where she led partnership efforts with Woman’s Hospital in developing the Breast & GYN Cancer Pavilion. The Holloway native received her bachelor of social work from Louisiana College and Master of Social Work from LSU. Nancy Steiner, vice president, and Donny Charbonnet, director, have been named partners at Diane Allen and Associates Advertising, founded in 1976 by Allen and Al McDuff. Steiner and Charbonnet began working at the agency as LSU advertising interns, Steiner in 1989 and Charbonnet in 2001. Ed Jenkins and Mark Goodson have been named shareholders at CSRS Inc.
Jenkins served as director of program delivery for education programs and has been with CSRS for 12 years, with 20 years of overall project management experience in educational facilities. Goodson joined CSRS as its resilience practice lead, with a career that spans over 13 years focusing on resilience, urban planning and redevelopment, finance and program management. LSU’s Manship School of Mass Communication has named Yongick Jeong as associate dean for graduate studies and research. Jeong is an associate professor and served as area head of the Manship School’s digital advertising concentration. Jeong joined the Manship School in 2007 after earning his doctorate in mass communication from The University of North Carolina at Chapel Hill. He became digital advertising area head in 2013. 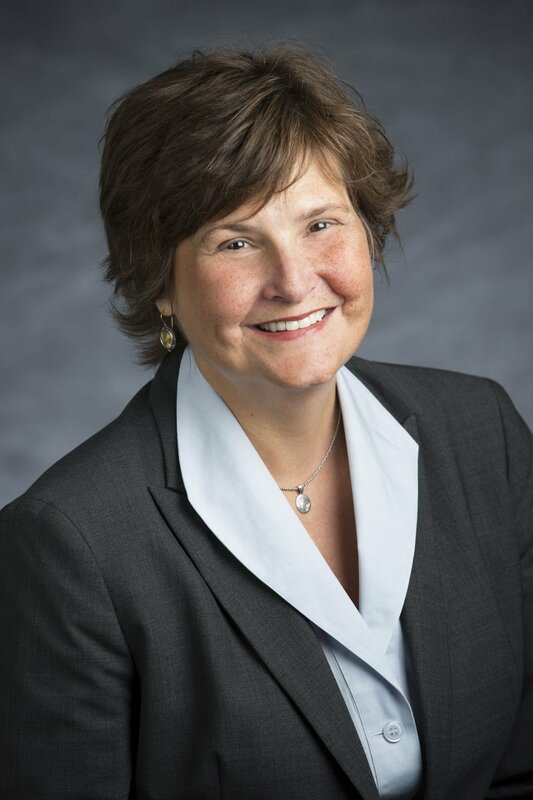 The Lafayette General Foundation board of directors has appointed Nancy Broadhurst as executive director. She replaces Cian Robinson, who led the foundation since 2015, and was named executive director of innovation, research and real estate investments with Lafayette General Health. Broadhurst will be responsible for planning, creating and implementing all health care philanthropy and development, the health system’s scholarship funds and employee giving program. Broadhurst held the positions of director of development and development officer for Lafayette General Foundation for the past two years and has more than 30 years of experience. She holds a bachelor’s degree in marketing from the University of Louisiana at Lafayette, formerly the University of Southwestern Louisiana, and has a certified nursing assistant certification. Robinson has a bachelor’s degree in mathematics, a master’s degree in public policy and administration and is pursuing a doctorate from the University of Louisiana at Lafayette. Mark Beebe, a partner at Adams and Reese in the firm’s litigation practice group and New Orleans office, has been elected to the International Association of Defense Counsel’s board of directors for a three-year term. Beebe represents clients in antitrust, securities litigation, officers’ and directors’ duties, contractual obligations and business and contractual disputes. His experience also includes multidistrict litigation and class action litigation. The IADC is an invitation-only global legal organization for attorneys who represent corporate and insurance interests. Dr. William Lunn, president and chief executive officer of Tulane Health System, has been reappointed to the Louisiana Emergency Response Network’s governing board. Dr. Paul Gladden, Tulane’s chief of orthopaedic trauma surgery, received an initial appointment to the board. Lunn was nominated by and will serve as the representative of Tulane Health System. Gladden was nominated by and will serve as representative of the Louisiana Medical Society. The state government-created agency maintains a statewide system of care coordination for patients suddenly stricken by serious traumatic injury or illness such as heart attack and stroke. It is a system also designated to serve as a health care resource in larger-scale emergencies and natural disasters. Terry Verigan has been named executive vice president of Antares Technology Solutions. Verigan will grow Antares’ technology services with government and corporate clients. He spent more than 20 years as an executive with Xerox Corp., AT&T and Windstream, formerly US LEC, initiating and managing projects with major federal agencies, including the departments of labor and agriculture, the U.S. Navy and the Federal Aviation Administration. Bambi Hall has been named business development manager of the greater New Orleans office of GEC Inc., a national engineering firm specializing in transportation, planning, coastal, aviation and infrastructure development. Hall was a public information officer at the Louisiana Department of Transportation and Development, responsible for public relations programs within the 13-parish New Orleans and Hammond districts and the former Crescent City Connection Division. Jim Perrier, of Universal Data LLC, has been elected as president of the board of directors of the Greater New Orleans Executives Association. Perrier also serves on the board of directors for the Jefferson Chamber of Commerce and is chairman of the American Diabetes Association Tour de Cure New Orleans cycling fundraiser event.